AND....After your Special Day, we can arrange free delivery within Ayrshire of any leftover Ice Cream! Interested in Adding Sweeties to your package? Woody’s can add a Sweetie section to their cart as well as delicious Ice Cream for your guests. Why not get in touch and have a package tailored to you! 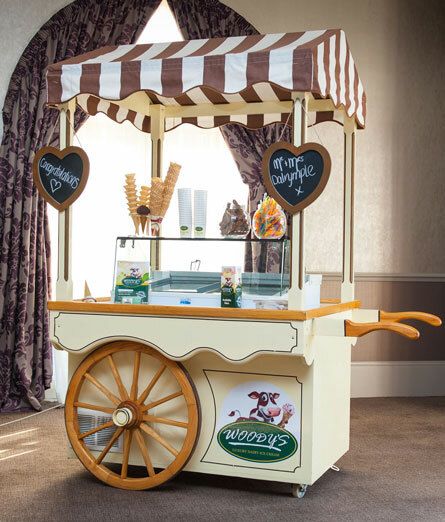 Woody’s would be delighted to attend your Special Event or Wedding Day, and can deliver this service within Ayrshire, Glasgow and Parts of Lanarkshire. Please note there is an additional cost required for millage out with Ayrshire.